An eardrum rupture, known as a tympanic membrane perforation, is a small hole in the eardrum that results from the patient manipulating the ear with a foreign object (Q-tip), a severe infection, or after tympanostomy tubes extrude. While present, a perforated eardrum results in reduced hearing. Surgical repair of the perforation is called a tympanoplasty, and commonly results in restoration of the patient’s hearing, and continuity of the eardrum. 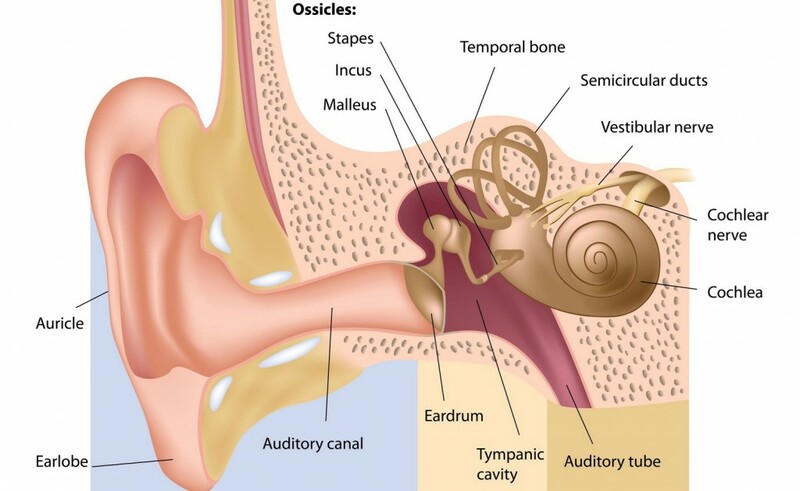 The eardrum is a thin membrane that separates your middle ear and outer ear canal. The medical term for the eardrum is the tympanic membrane. The middle ear is connected to the nose via the Eustachian tube, the part of the audio anatomy that equalizes pressure in the ears. When a foreign object is inserted too far or too vigorously into the ear canal (or the external auditory canal), the tympanic membrane can be perforated, causing a small hole that can take weeks to heal. 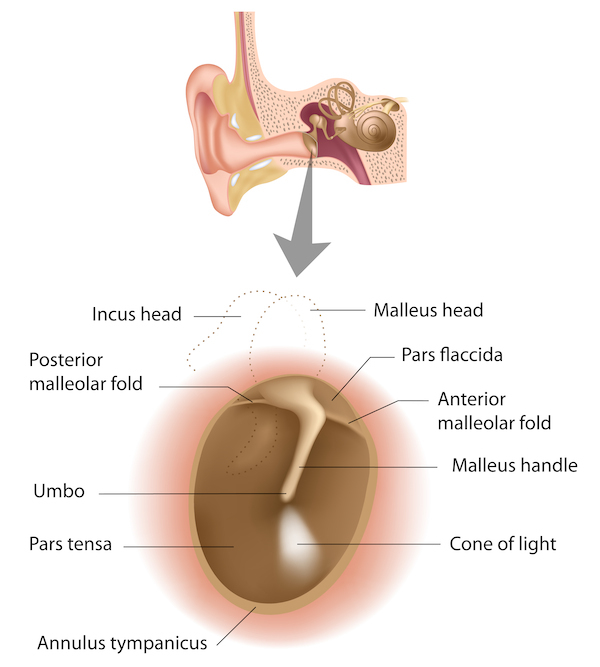 There are two main parts that make up the tympanic membrane (eardrum), pars flaccida in the upper section, and pars tensa in the lower section. The pars flaccida is fairly fragile and is often associated with conditions such as cholesteatomas. The pars tensa is made up of three layers: skin, fibrous tissue and mucosa. As a result, the structure is more robust and is usually associated with perforations. The difference between these two categories is that the former is usually experienced through recreational sports or some other means that causes an immediate accidental puncture, known as a blast injury. The latter is usually caused by a person interfering with the ear canal, probably to carry out cleaning or scratching an itch. Another symptom that often causes patients to make an appointment to have a doctor examine them is when they hear the sound of air rushing out of the ear as they blow their nose. When the eardrum is intact, forceful nose-blowing will cause the eardrum to expand like a balloon from the air pressure forced through the air canal. When there is a hole in the eardrum however, the pressure has nowhere to build up, and patients often hear the sound of air rushing through the perforation that is loud enough for them to be concerned. If any symptoms of eardrum rupture are present, the doctor will perform an otoscopic exam. The otoscope is an instrument containing a light that is used to look inside the ear to inspect for infection or tears in the eardrum. Usually, with this simple exam, a doctor will be able to see the perforation and give his diagnosis. However, if there is a large amount of drainage or ear wax, the doctor may have to perform an ear cleaning or prescribe ear drops before he can clearly give the diagnosis. On occasion, a doctor will use an otoscope with a rubber bulb attached that he will use to blow a puff of air down the ear canal. If the eardrum is intact, it will move when the air hits it. If there is a rupture, it will not move. If the doctor finds there to be an eardrum rupture, he may also test your hearing to establish the level of damage the perforation has had on your hearing. This test may be conducted with a tuning fork. The doctor may also conduct an audiology test, using headphones and a series of tones to measure the patient’s current hearing ability. 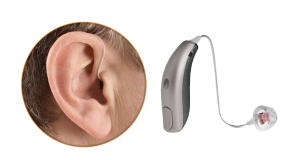 In most cases, hearing loss is temporary, and once the eardrum heals, the hearing will return to its normal state. 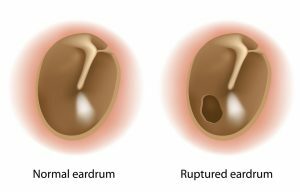 In most cases, the eardrum rupture or tympanic membrane perforation will repair itself without any medical intervention. 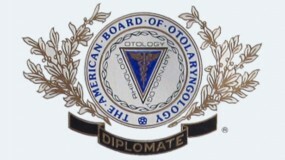 The otolaryngologist (ENT doctor) may also decide to keep an eye on the perforation over time, to observe whether it is closing by itself or not. In the case that it won’t close on its own, the doctor may try an in-office procedure to patch the perforation. The doctor would use a microscope and stimulate the edges of the eardrum with a chemical to encourage growth and then place a small patch over the hole in the eardrum. Usually the patch will resolve cases of eardrum rupture, and if not successful once, the doctor may attempt this procedure several times until growth occurs. If the physician feels that a paper patch will not successfully provide what is needed to mend the perforation, he may suggest surgery, which can also be done within the physician’s office. This surgery can be a two-hour process that involves what is called a tympanoplasty, involving a behind ear incision, rebuilding of the eardrum and surrounding bones, and insertion of a tissue graft to repair a large perforation. If the physician believes the perforation will heal on its own, he may simply suggest some over the counter pain medication to relieve the short term symptoms of eardrum rupture. 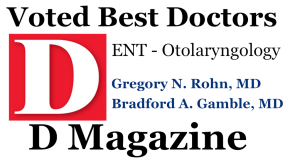 If you have any of the listed symptoms or have experienced something that could have caused a ruptured eardrum recently, make an appointment with Dr. Rohn and Dr. Gamble, ear, nose, throat, and sinus surgeons, to get a formal diagnosis and advice on what step to take next with treatment. Their offices are located in Plano and Dallas. If you would like to schedule an appointment with our office, please call our Plano office at 972-378-0633 or Dallas office at 214-239-1641.